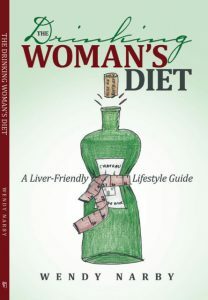 One of the most popular chapters in The Drinking Woman’s Diet is Chapter Four: How to drink Like a French Woman. I wanted to take the idea further with a series of interviews with some (mainly French) women in wine to see how they balance the challenges of staying healthy whilst working in the wine business. My first volunteer is Marie-Laure Lurton. 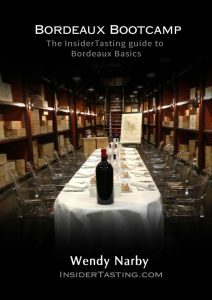 Marie-Laure is a member of the Bordeaux Lurton ‘dynasty’, one of 10 siblings almost all of whom are in the Bordeaux wine business. She is a training oenologist owning and running two Medoc chateaux. Married to a GP, I am particularly interested in her opinions about wine and wellness. I am an oenologist, graduated in 1984 and since 1992 the general manager of two estates in Bordeaux: Château La Tour de Bessan in Margaux and Château de Villegeorge in Haut Médoc. What brought you to the business? 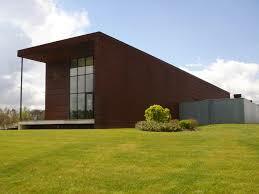 As a wine grower’s daughter, my childhood was spent at Chateau Brane Cantenac, (Classified growth of Margaux). You could say “je suis tombée dedans à la naissance”! (I fell into wine at birth). 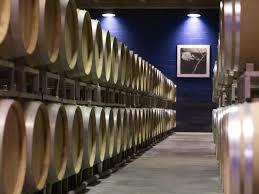 I started working in the wine industry for my father in 1984. I am fond of wine production: we grow the grapes and transform them into wine; there’s a kind of magic! Wine and wellness What does the concept of Wellness mean to you? 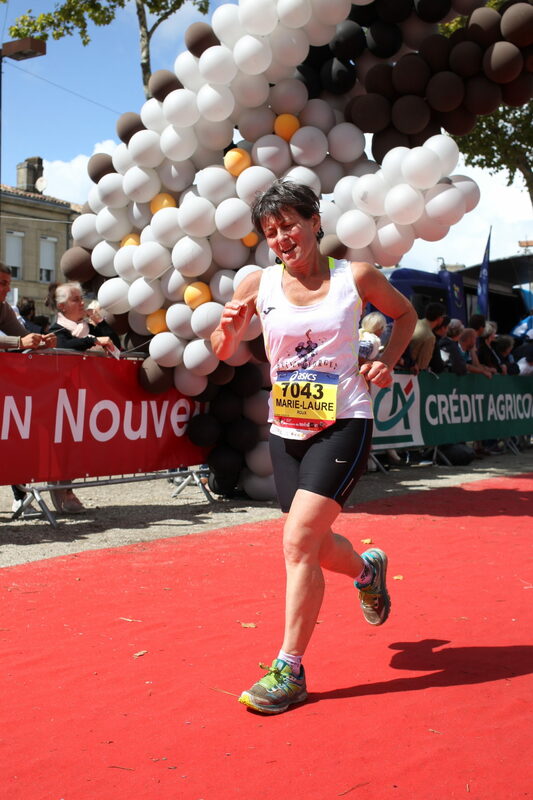 I am a marathon runner: I have run 17 marathons including 14 Médoc Marathons with our team Château de Villegeorge. My husband is a general practitioner. So for me, wellness is a precious gift that I want to protect and improve upon. I am lucky to be in very good health. How many times do you drink each week and do you limit yourself to a certain quantity of alcohol? I drink 5 times a week (champagne and wine, never alcohol like vodka, gin, whisky, Cognac or Armagnac). I pay attention to the amount I drink, preferring to taste a range of different wines with a dinner in small quantity rather than drinking a full glass. Has your attitude changed to drinking and wellness over the years? Yes! When I was a young, I drank more as an oenologist student. When I was pregnant (I have three children), I used to drink less, but I never stopped completely. It is difficult to stop when you are producing wine, as we taste all the time. As I become older, I feel more tired drinking wine; so I taste more than I drink. Food Are there foods you consciously include in your diet? I prefer eating vegetables and fruit. For several years now I drink vegetal milk rather than dairy. Are there foods you avoid? In general I don’t eat “charcuterie”. I eat less meat than before, preferring fish. Fitness As a marathon runner you obviously exercise.I try to practice sport frequently; I play tennis once a week, run and cycle on the weekend. 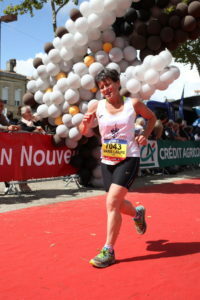 Marie-Laure in action finishing the Médoc marathon. What are your biggest challenges to staying fit and healthy in your job?How do you overcome them? I try to avoid big wines lunches and I don’t empty my plate (even if it is not polite!). I try not to eat too much sugar (not always a dessert). I try to pay attention to my stomach, stopping eating when I no longer feel hungry. Exercise really helps; I feel much better when I exercise so it’s easier. Do you set yourself goals, and do they help in your aim to stay well? When you decide to run a marathon, you have to run a lot. I try to find time every weekend for sport (at least one hour). When I have the opportunity I prefer to walk than to drive. I climb the stairs instead of using the escalators. Wine and women Does that fact you are a woman help, or is it a hindrance in this business? I think that there’s no link with being a female, one way or another. Do you feel there are different expectations in drinking culture for a woman compared to male colleagues? Yes I do, maybe as women we are more interested by aroma and taste, so we don’t need to drink a lot to appreciate wines. I am sure that we are more sensitive to alcohol, so we have to take more care of the quantity we consume than men. Have you seen an evolution of attitudes in the business, towards drinking in general? I think that now people drink better wines and less quantity. Which is a good thing. Travel. How to you cope with wellness pressures when travelling, business and pleasure? Sometimes, when you have many lunches and dinners on a trip, you need to diet when you come back home to feel better. Do you see a difference in attitudes in different countries?Yes, it’s more difficult to eat vegetables in Germany or USA for example. In Japan, it’s very easy to eat well: no sugar, no fat, lot of fish, rice instead of bread. Your tips? If you had just one or two top tips for women in wine wanting to stay well what would they be? Never give it up but don’t obsess, listen to your body. Is there anything else you would like to share about women in the booze business or about wine and health? Enjoy good meals and good wines in moderation and don’t forget that we have only one life! Wise words indeed, thank-you Marie-Laure.